Yesterday I went to the Post Office and got caught in a fire drill, but that’s not the point. After we were allowed to return to the building, I peered into my box and found a package slip hidden among bills and magazine renewal notices. Ooooo, a package! Anyhoo, once home I ripped into that box like it contained a lifetime supply of Reese’s Peanut Butter Eggs and discovered something even better – YARN! My first yarn gift from my brother and his fabulous wonder woman. And they even made a special stop at a yarn store near a butterfly sanctuary for it. And it wasn’t even my birthday or anything! Talk about the highpoint of my day! Schaefer Yarn Hand Painted Yarn. 55% Merino Wool Superwash, 30% Silk, 15% Nylon. 4 o.z./400 yards. 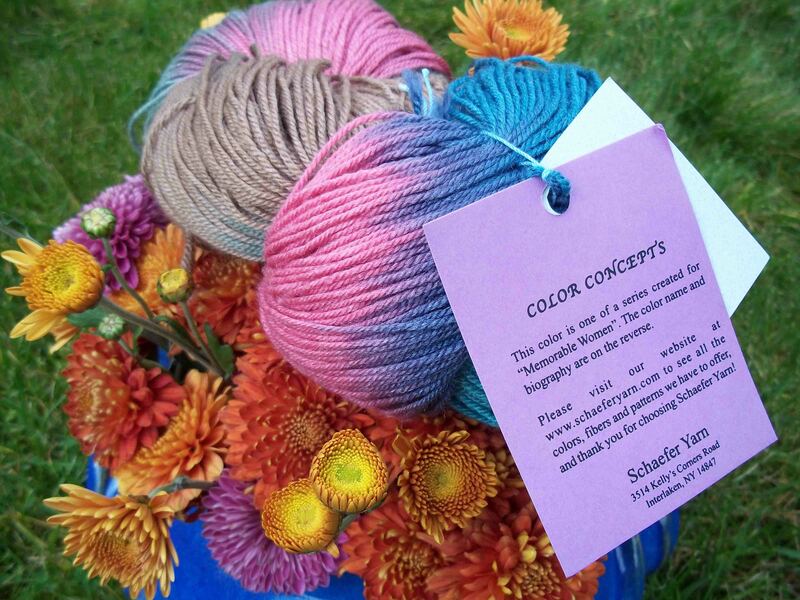 This yarn line is dedicated to memorable women and the colorway they chose for me is for Sophia Smith, the founder of Smith College. So what should I knit with it? Any suggestions?